The Road: Begins at US 25/25 Bus E. Flat Rock (Henderson County) and ends at the South Carolina State Line at Tryon (Polk County). Nationally the route runs from E. Flat Rock to US 52 in Goose Creek, SC. History: US 176 is an original US Highway, appearing in North Carolina in late 1926. It originally began at US 25/NC 29 (Main St) in Hendersonville, then headed out Old Spartanburg Rd and SR 1820 loop in East Flat Rock. 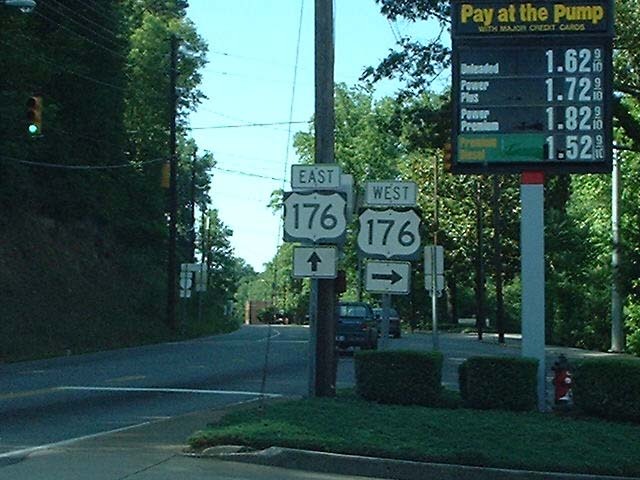 US 176 followed current 176 to Polk County, then used Pearson Falls Rd between Saluda and Melrose. US 176 then picked up current 176 through Tryon to the South Carolina Line. 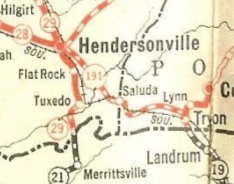 Hendersonville to Tryon was an addition to NC 191 while Tryon to SC was part of NC 19. Around 1929, US 176 was placed on its current routing between Saluda and Melrose. 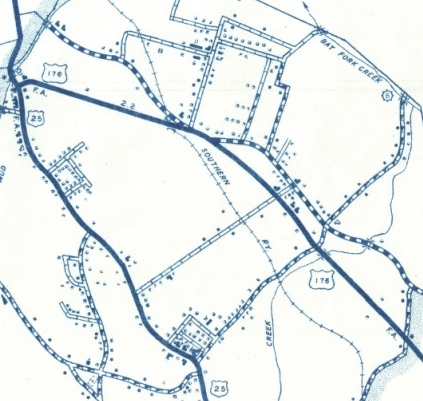 In 1937 or 1938, US 176 was moved to modern Spartanburg Highway in Hendersonville and E. Flat Rock. In Sept 2003, US 176 may have been truncated to the US 25 freeway east of East Flat Rock as US 25 Business was assigned to US 176's routing into Hendersonville. 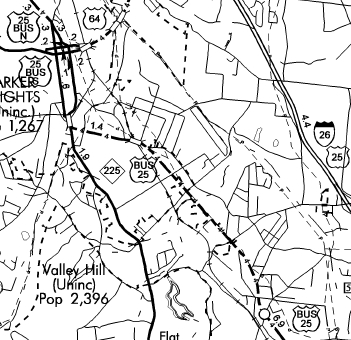 However, the NCDOT document establishing US 25 Business and changes to NC 225 do not truncate US 176 and the March 2009 Street View shows US 176 co-posted with US 25 Business. US 25 Bus replaces US 176 in Hendersonvlle? Comments: US 176 is largely a mountain road in North Carolina, with the western half being pretty gnarly. The Green River Bridge is an attractive structure in its own right.